Day after day, the suffocating humidity and relentless afternoon storms has me dreaming of moving out of Florida. Fortunately, I know that I will be rewarded for enduring days of frizzy hair and permanently fogged glasses with gorgeous weather while the rest of the country freezes. Although my dreams of moving are just fleeting thoughts, it did make me think about what I would regret if I did leave. Thus, my Florida Bucket List was born. I’ve been kayaking a few times, but only down the Weeki Wachee River. 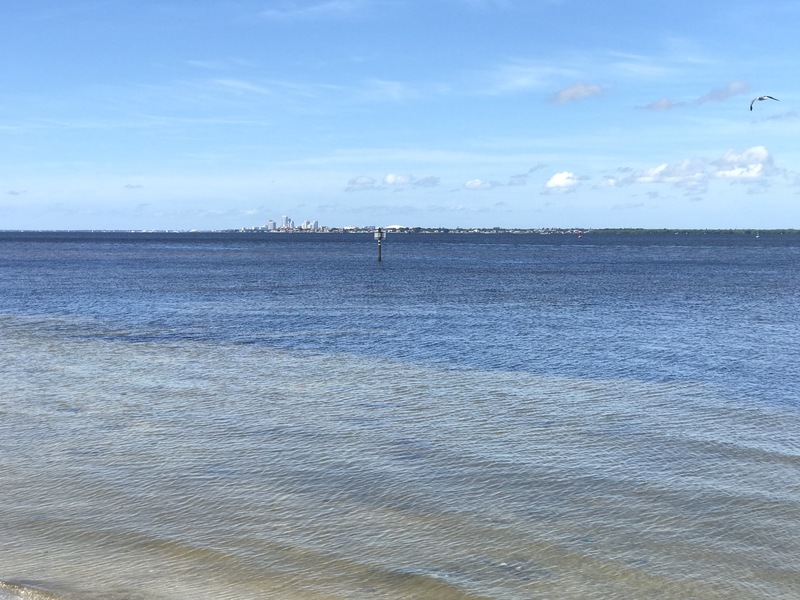 I wanted to take a kayak out on the open water and enjoy the views and relaxing sound of the water around me. 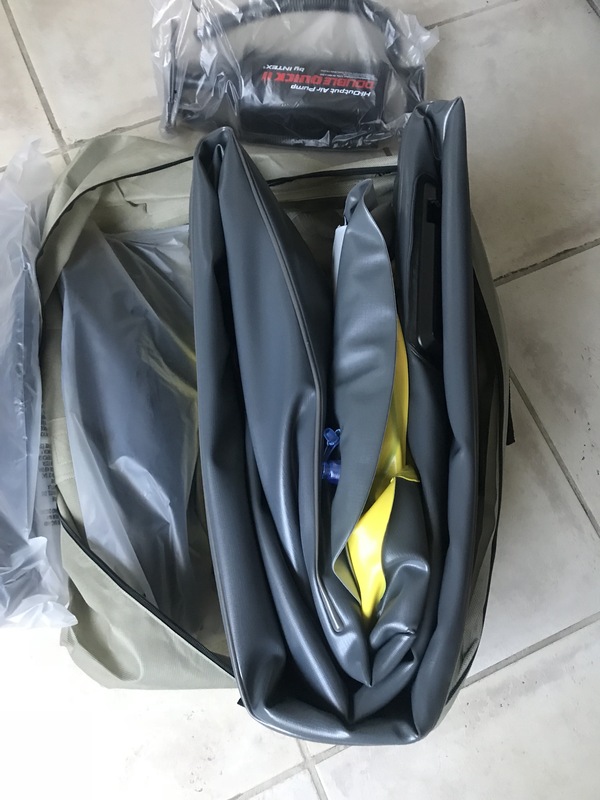 It comes in a nice compact bag that hold the kayak, the oars, and the pump to inflate it. After a test run inflating it in my house, I drove down the road a few miles to one of the little local beaches I knew I could easily use for my first try. 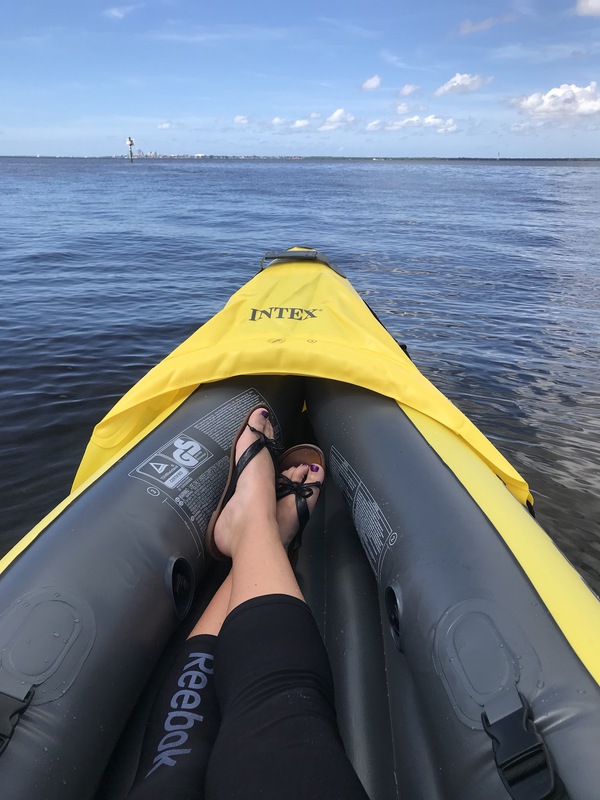 Although it was a little heavy to carry from my car to the beach, I could still accomplish it on my own, unlike a traditional kayak. I found a nice flat spot with few rocks and got to work. After about 7 minutes, I had a kayak! I stayed near the beach and testing paddling out, turning around, and coming back to shore. It was easy to get in to and easy to maneuver. It’s going to take some practice getting the seats in a comfortable position, but overall I was comfortable and I felt safe. I can’t wait to take this out with a friend (did I mention it’s a two-person kayak?!) and spend a relaxing day on the water. 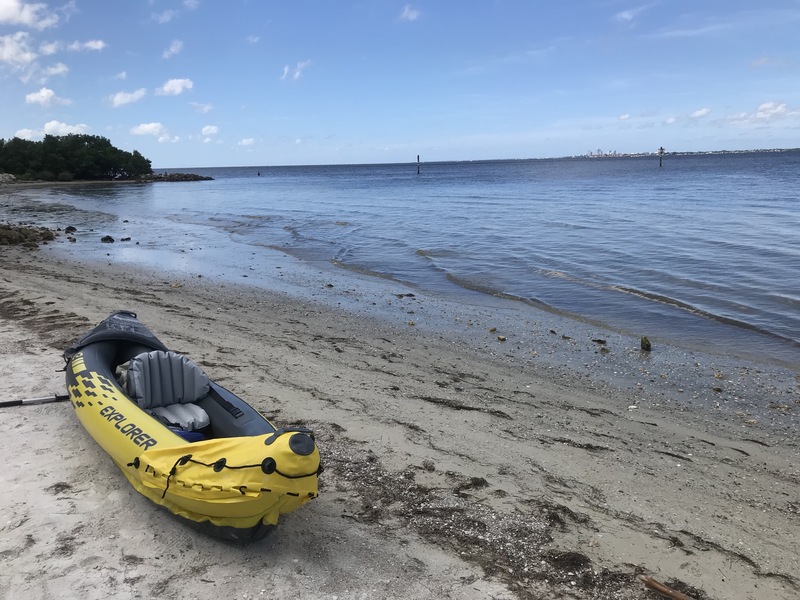 If you are thinking about getting a kayak but don’t know where to start, I highly recommend this one!